Named one of the 50 Most Influential Fundraisers of the Year, 2010. Civil Society’s Fundraising Magazine. “I went through your Simple Development System a few years ago (2011 version) and LOVED, LOVED it! It was SOLID information in a great, easy to understand format and I owe you a great deal – I really mean that. I’ve been blessed to be able to raise over $6 million in capital campaigns in my years as a Fund Development Director in addition to starting a Monthly Sustainers club (much thanks to you in that) and a solid annual giving program. “I wanted to thank you for this course. I wanted to share that for the first time in our five years, we raised over 100K in program revenue and I think it was in large part due to this course and what I implemented. I need to look further, but program revenue for Q42015 was 28.7k. For Q42016 program revenue was 42k! Amazing! “Simple Development Systems is absolutely easy to use, easy to understand and covers all of the topics I’ve had to self-teach myself in an organization with no dedicated development staff. Your idea around creating a culture of philanthropy really resonated with me because I absolutely agree that everyone plays a role in fundraising – it’s about connecting the dots. I also listened to the teleseminar on monthly giving, and you’re right, it’s a no-brainer. I’m going to get this started! Your writing on stewardship was just affirmation for me that I am headed in the right direction – however it does seem as if you are going to have wonderful ideas on the different touches you can make to your donors. I LOVED the calendar! I do have one but yours had extra ideas for me. I will be implementing a “Monthly Giving Ask” – I would like to come up with a nice name for our Monthly Givers though. “I am such a neophyte that I am sure I failed to comprehend all the information you discussed in the webinar, HOWEVER you explained the steps in such an organized manner that it doesn’t seem like it will be that difficult. I use all sorts of helpful sites, but yours is the very Best! I am such a fan of what you are doing and your deep knowledge of fundraising. There are thousands of details to getting this work right and you seem to know almost all of them! I REALLY appreciate your emails, which help me considerably with donor communications and other things as part of my “Development” role. Thank you for your time and efforts in putting together The Grow Report. I recently did a new membership drive and followed your advice – I made the letter all about my prospective members and how our museum is for them. We had a great response! 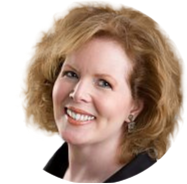 I am a newly subscribed member of your newsletter, and continue to be pleasantly surprised with the amount of information included in each that I can immediately use and benefit from. Kyra Thomas| Director of Development| Pro-Vision Inc. Thanks for the work you do with the Grow Report; this “one-person shop” always finds something useful and interesting in them. I really enjoy your weekly Grow Report as it has some great helpful tips and news items regarding fundraising. I particularly like the blogroll as you have taken care of the editing – I can easily click through and read the ones that interest me w/o filling up my inbox by subscribing to all of them. I look forward to receiving the Grow Report weekly; I always learn something new. Free is good. I could not get the information you offer if there were even the most modest of price tags, so thanks for being generous (and savvy in your marketing) to give us what you do for free. Keep giving us updates on your Marine, too! SMALL SHOP IS A GOOD CATCH PHRASE AS YOU ARE FOCUSING ON THE SMALL NON PROFITS WHO CANNOT AFFORD THE BIG TIME FEES ANS SALARIES. GOOD POINTERS AND ADVICE TO KEEP US GOING WHAT IS OFTEN A STIFF WIND AGAINST US. THANKS. In today’s info-availability overload, in which many people are saying the same thing in a slightly different order and way, I appreciate (and do) being able to follow links to read quickly and then move on. 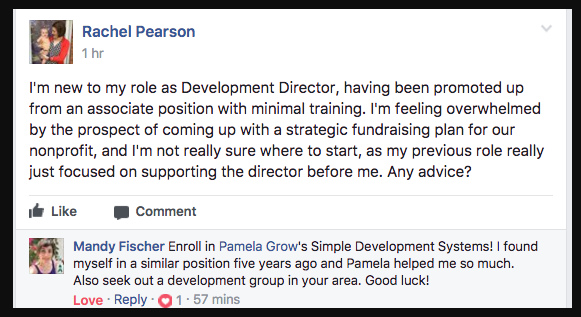 Pamela, I have been a prospect researcher for nearly seven years now and have been trying to understand how fundraising shops work so I can use some tips in our own research shop. Grow Report has been a great help in this regard. Thank you and Happy New Year. Thanks for all the tips. I enjoy reading about what others are doing and what works! I enjoy reading it every Thursday morning. I always find something in the Grow Report useful or thought provoking. The blog curating you’re doing is GREAT! I learn so much from you every week! I appreciate your candor in discussing your past work experiences and your political beliefs, and I also like your personal stories. I forward your emails to nonprofit newbies and people looking for consultants. You’re doing great work out there! As a former development director who now serves as volunteer development director for another non-profit (while holding a full time job elsewhere), I always appreciate being in touch with what’s new and current, and tips that I can pass on to the (untrained) staff to the arts org I volunteer with.